These trendy bridal shower invitations are a must have for any bride-to-be. 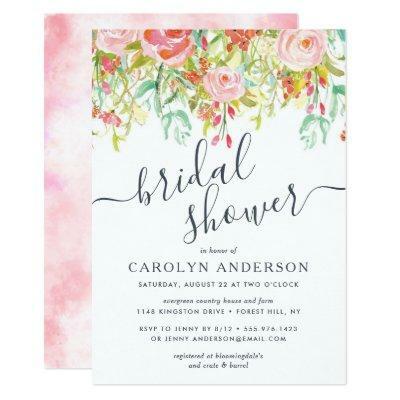 The elegant design features a clean white background with a watercolor floral design. The template wording can easily be changed by using the "personalize this template" section, or for more advanced settings please use the "customize" button to change font style, colors, arrangements and more. If you would like any other elements of this design changed, please use the "contact this designer" form to message us with your requested design changes.